Day 5 was about the Nativity and "No Room" at the inn. We still have yet to put up our decorations (I guess that is what traveling will do to you lol) since they are in the attic. Being 5 foot NOTHING doesn't help in the "I-need-to-get-stuff-out-of-the-attic" department. Oh, well. 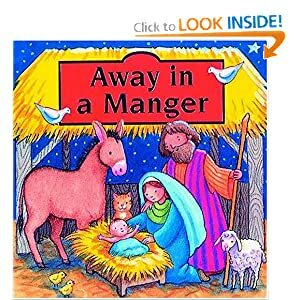 We did read "Away in a Manger" and we did talk about all the people and animals who are part of the Nativity. And, we (finally - thanks Mom!) have a Mary statue. It is so pretty! I love how you can see the love in her face as she holds her baby. It was my grandmother's, too. So, it is even more special! 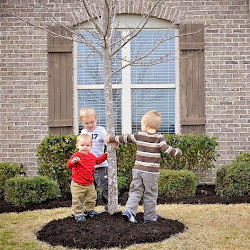 Now for today, Day 6, we learn about taking care of all living creatures except spiders ew! 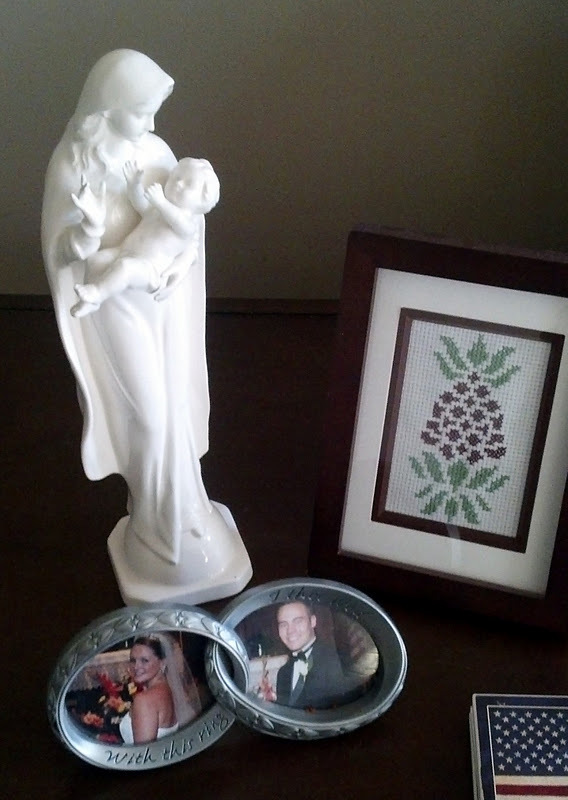 Last month I entered a giveaway over at Catholic Mom for a Little Angels DVD and I was one of the winners! YAY! And TODAY we got our DVD! And, it was perfect for today's activity! It is such a cute DVD, too! It is a set of stories about twin (boy/girl twins) who learn about God's love of the animals through many bible stories such as Noah's Ark.We loved it! How are your projects going? Share with us! So now it is another tradition... Your Grandmother was given the beautiful Mary statuette by your Grandfather, she passed it down to your Mom and now it is yours :) Love you!! !